Autumn is my favourite time of year not just because of the colours but also because of the collecting that can be done. 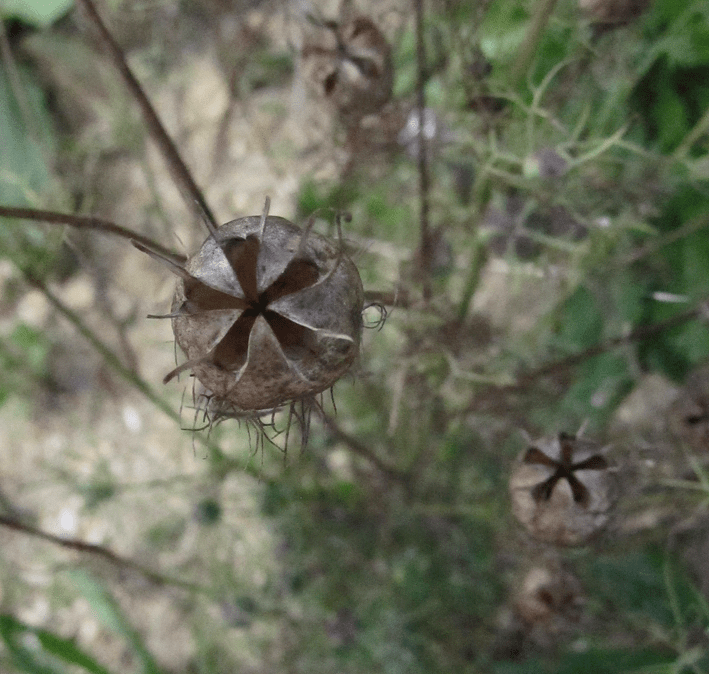 Seed pods and the numbers of autumn are my sole concern at this time of year. The kids are collecting for their school nature tables. Out hunting for different leaf types, conkers and acorns. I can’t help collecting these too, but it’s really not cool to be fighting with the kids over which conkers are theirs and which are mine! Looking at the patterns on the poppy seed heads and the formations of sunflower seeds gets me up close to nature and pointing out the wonderful patterns, shapes and numbers of autumn to those around me. I like to look for these shapes and patterns. My kids know what I’m looking for and often join in. Shape hunting in nature has become my pasttime and that of my kids too. 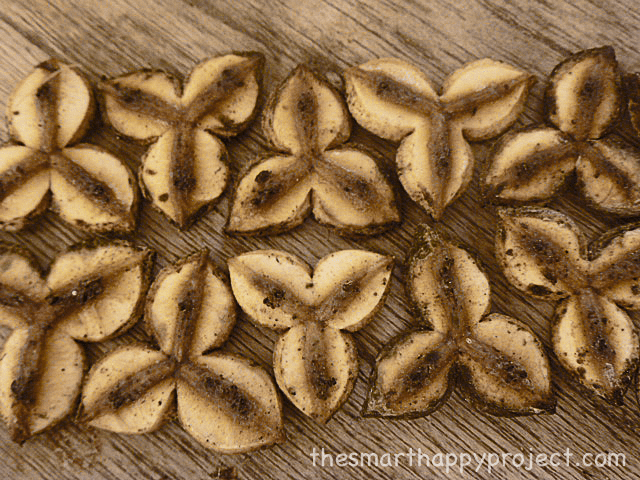 Its not just faded flowers, but seeds from trees too. There are shapes in these that just wait to be found. 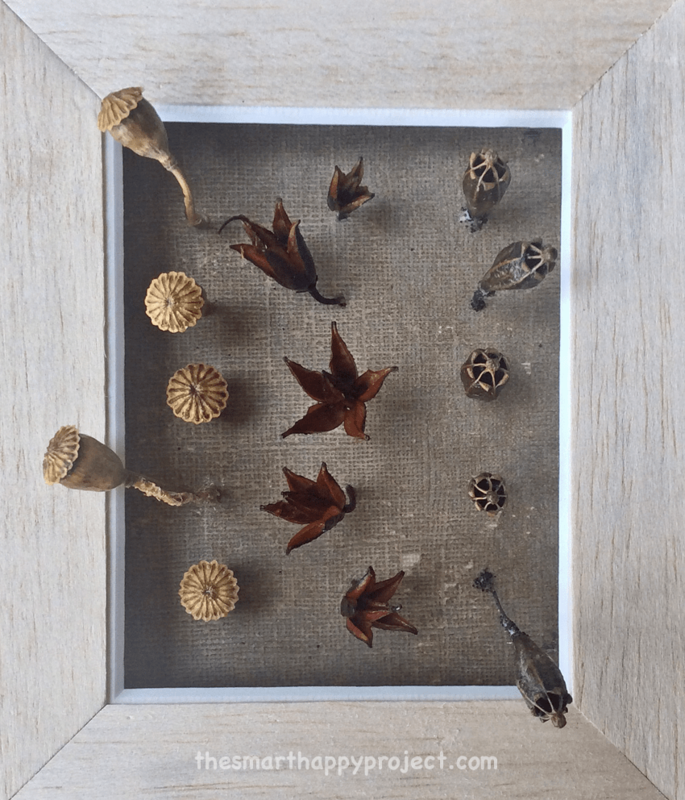 Acorn cups, unemcumbered with their precious load have such beautiful circles so perfect to the eye. 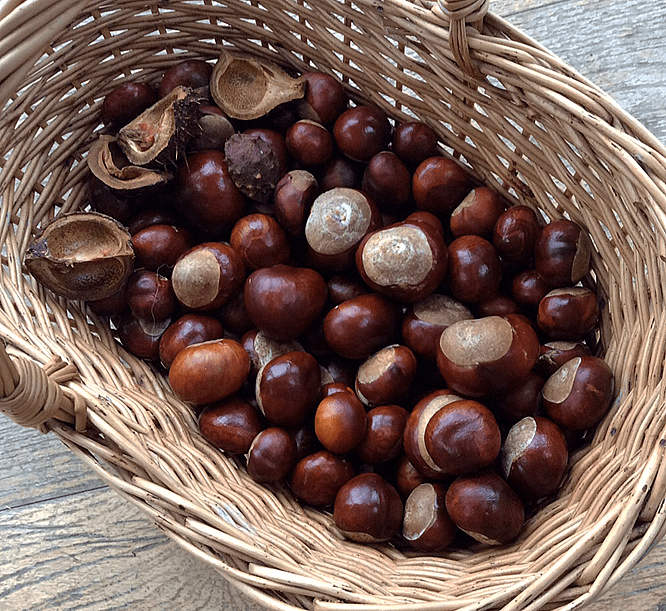 Conkers come with that dusty circle atop their chestnut coloured globe. Beechnuts from beech trees present us with a triangle base that points up into a pyramid. It strikes me as an form of a tetrahedron. A triangular pyramid whose base is an equilateral triangle with three sides of isoceles triangles . Whoever would have thought such things could be spied in nature? On close inspection two beechnuts sit packacked in their casing of a squareish quadrangle. When I first saw it, it struck me as a thing of wonder. 3 into 4. 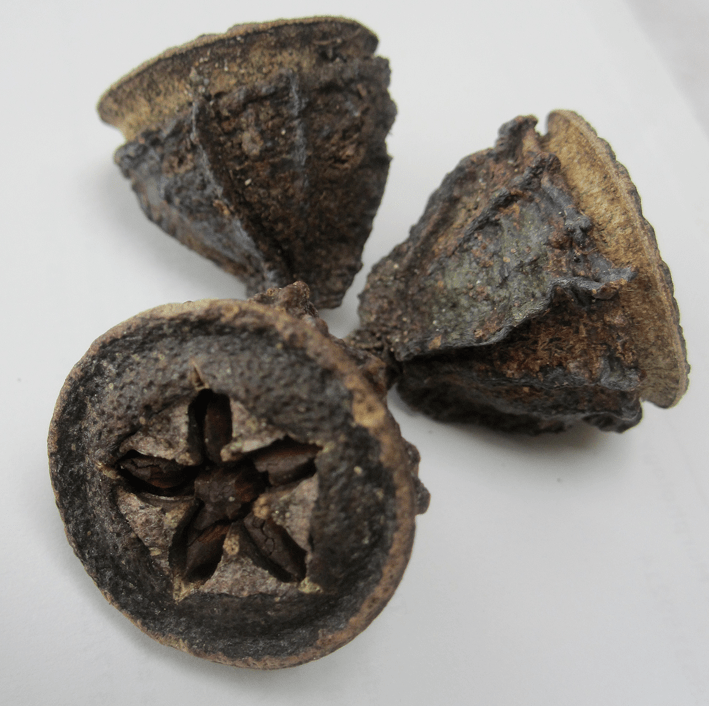 Many flower seed pods reveal their innate triangular nature and when some casings have popped themselves open, pushed the seed on their journey into the world, they leave behind them a perfect threeform pattern. To be honest its not just autumn when you can see these manifestations of numbers. Many flower buds earlier in the year present us with threes as well. 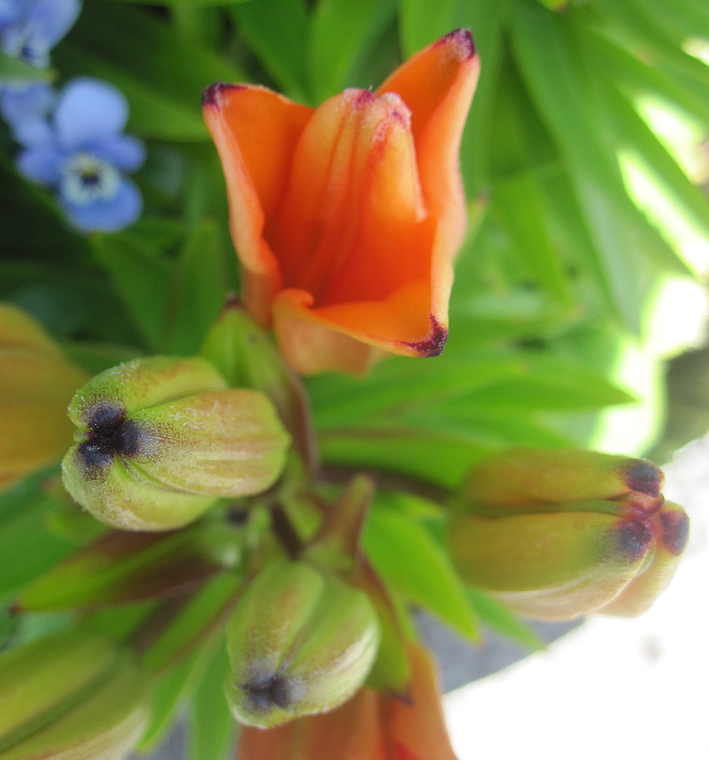 Lilies start as a triangular bud; flower into a six petalled flower; then end as a triangular seed pod. Artfully demonstrating to us the connection between the numbers 3 and 6. The five point star is present at the end of the summer too. 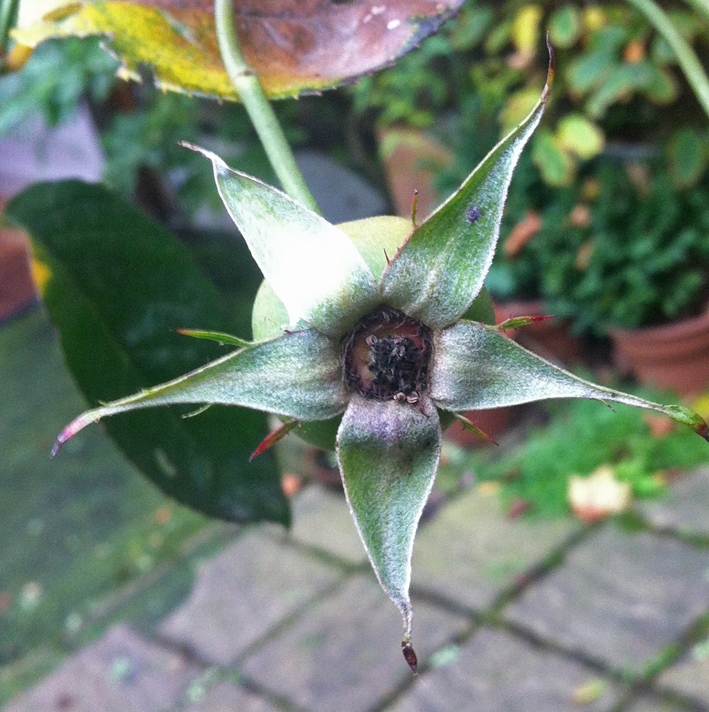 The seed pods from the eucalyptus tree release their lids when the seeds ripen and present a perfect pentagram star hiding the seeds inside. This is the same star that runs through an apple core. This star is present in many places where flowers have been. 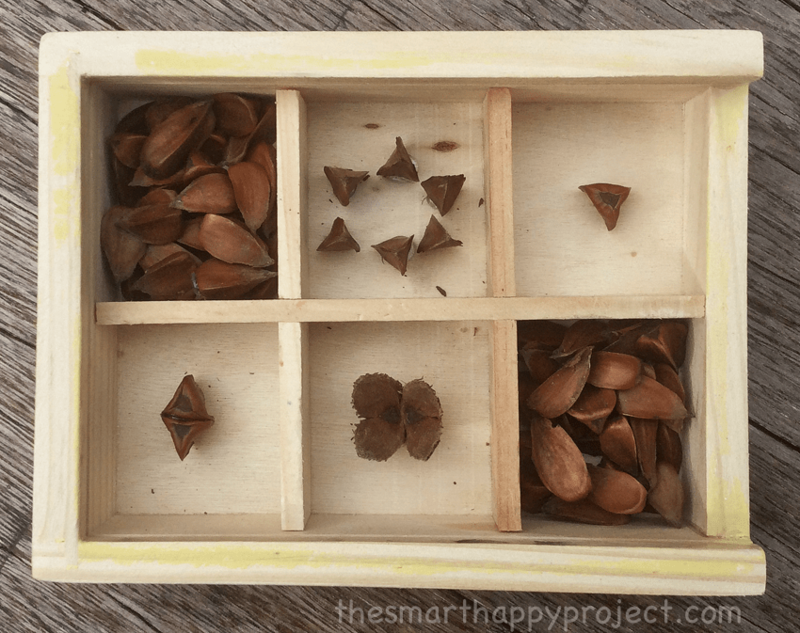 These shapes in nature is what The Smart Happy Project is about. Why look for numbers in nature? We can see how the numbers of autumn show symmetry and patterns for us all to see, its just a matter of looking. 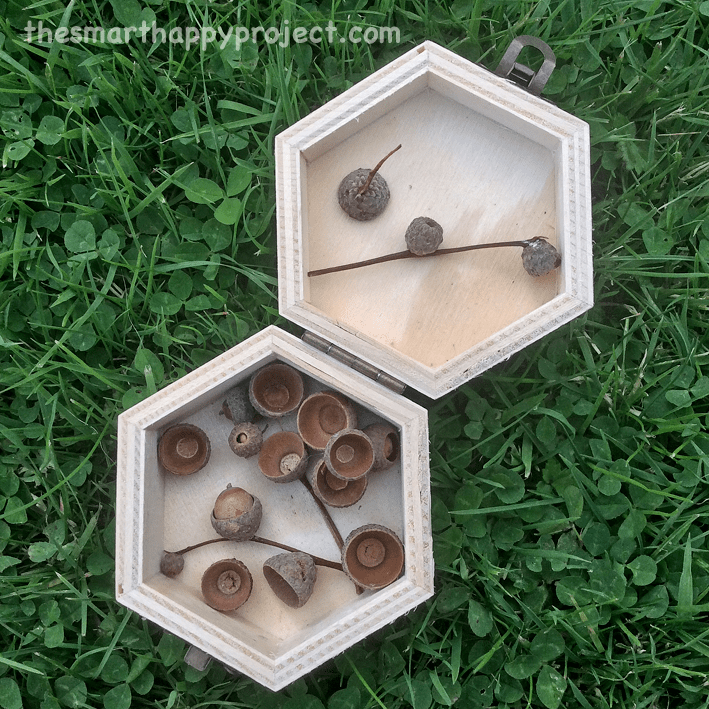 It is the Smart Happy Project that will help show you how to look for numbers in nature. Get down close and really look. Take a magnifying glass on your walks if you want, sometimes a simple tool is all that is needed to get the kids really looking and turning over leaves and stones, training the eye to see the underlying patterns present in natural forms. Any time is good for this shape hunting but autumn is special. As the flowers give way to their patterns of seed formations, the numbers and shapes in nature are just that little bit easier to spy. An extract of this post also appears on Wildlife Watch website.